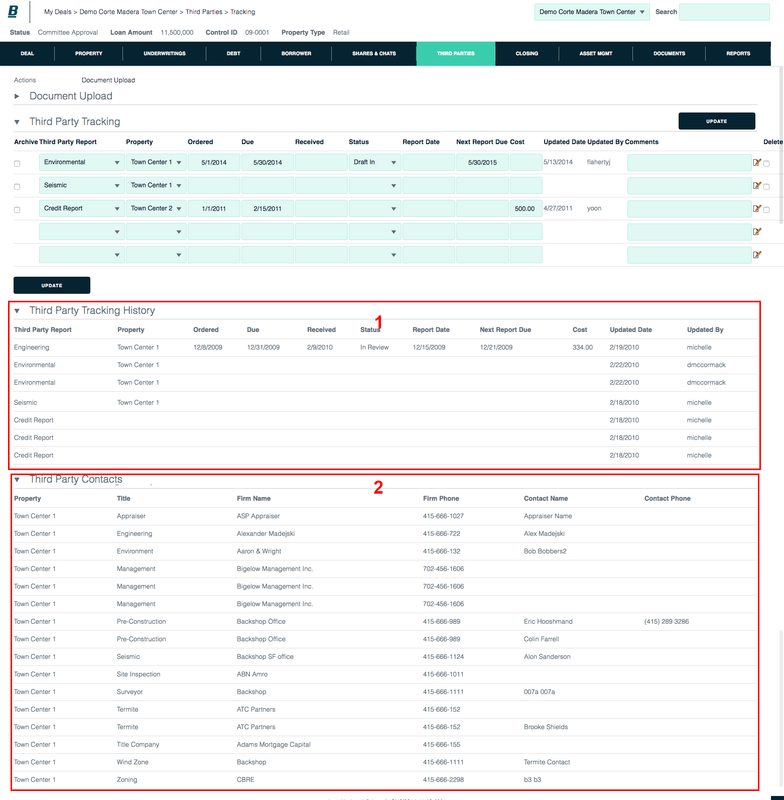 To monitor your reports’ status, history and contacts, use Backshop’s 3rd Party Tracking function. Click the Third Parties tab, then the 3rd Party Tracking sub-link. 1. Select report type from third party report menu. 2. Specify property from property menu. Enter as much additional information as you like. You will return to this form as the report’s status changes. 3. Click the Update button. This creates a line for the new report. It will always be available in the Third Party Tracking module. 1. In the line for the report in question, enter or edit the ordered date, due date, received date, status, report date, next report due date and/or cost. 1. Third Party Tracking History: This section records and displays all changes to reports’ status. 2. Third Party Contacts: Contact information is automatically displayed based on the firm name for each report.